The UT Tower Turns 80! 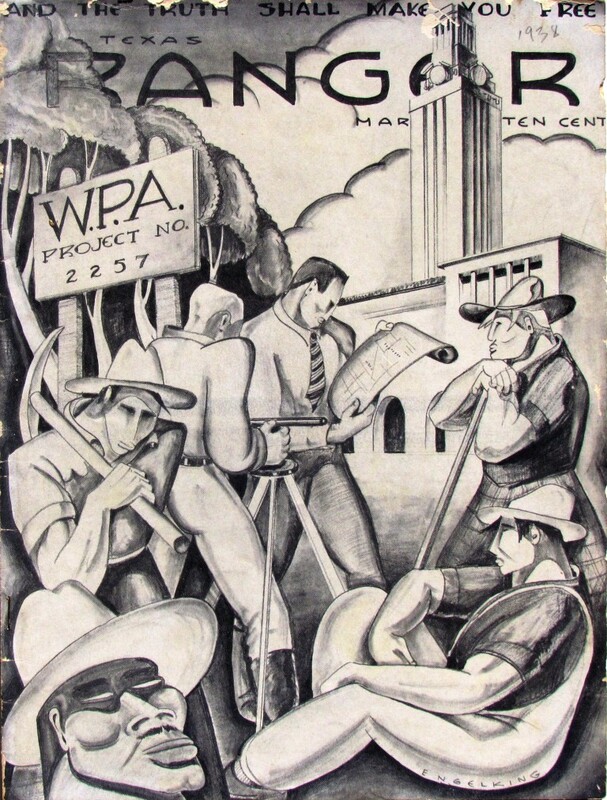 Above: The cover of the March 1938 issue of the Texas Ranger, a UT student magazine. The drawing incorrectly labels the Tower as a WPA project. 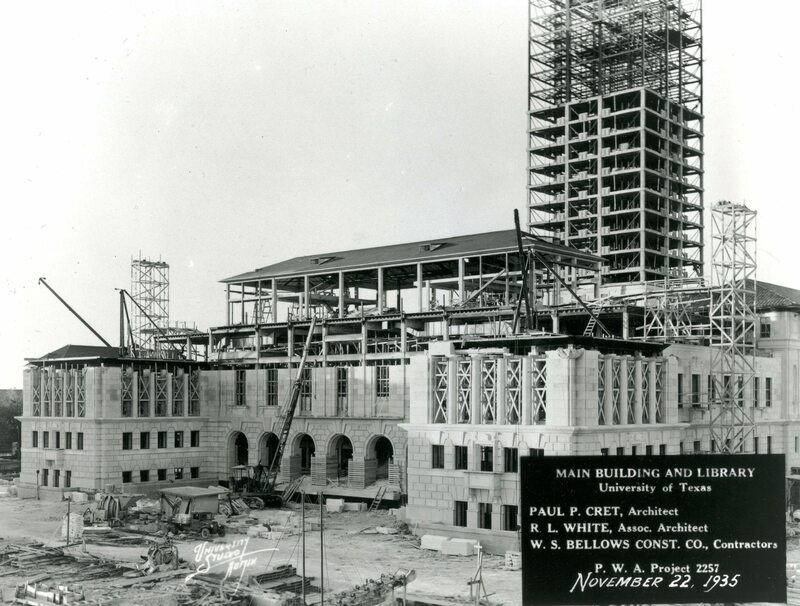 A grant from the Public Works Administration (PWA), a New Deal program during the Great Depression, provided the funding for the construction of the UT Tower. Officially dedicated on February 27, 1937, next Monday, the University of Texas Tower will become an octogenarian! To celebrate, the Alexander Architectural Archives is sponsoring an exhibit of original drawings of the Main Building and Tower in the reading room of Battle Hall. The exhibit will run until August, but the opening event is Monday, February 27th at 5:30 p.m.
Come celebrate the UT Tower’s 80th birthday. There’ll be cake!